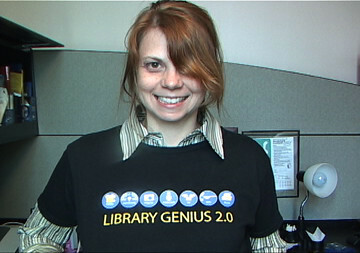 Learning 2.0 – Library Genius 2.0 T-shirts! Look at this post from ACPL’s IT blog on Library 2.0 Bling for a closeup of each icon. 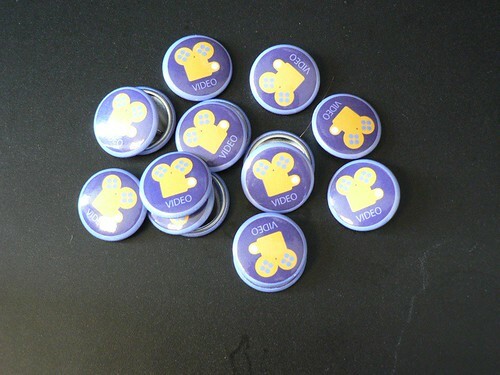 and here is a picture of the Learning Video 2.0 button. For more information on the ACPL’s Learning 2.0, check out these posts from the ACPL Innovation Through Technology blog. And for what ACPL’s Digital Collaborative is creating for Learning 2.0, check out the ACPL DC Wiki’s “21 Things“. Click on the links to see what each person has created. This wiki is a working wiki for the Digital Collaborative and is constantly being updated. I want to be a Library Genius 2.0! You are currently browsing the archives for the learning 2.0 category.